I was involved in a very nasty hit and run in the summer of 2017 and despite suffering serious body damage, the priority was the bike but it was written off. I spoke to British Cycling with whom I have insurance cover and they referred me to their Scottish representatives Digby Brown LLP. To say I was disappointed with their approach and attitude towards my case, is an understatement. A quick word with my local bike shop, ACE bikes, who recommended Cycle Law Scotland. 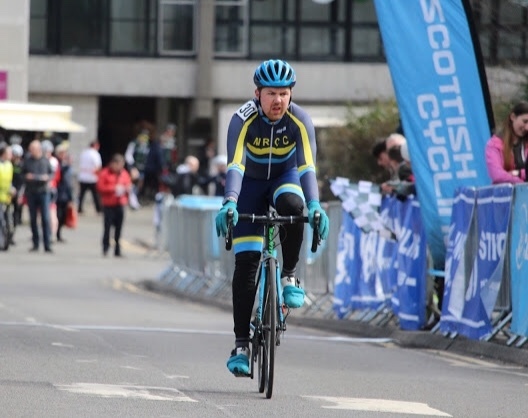 Within a week of contacting CLS, the process was in motion to get me back up and running (not just with a insurance resolution route but with confidence to keep doing what Ive always done, cycled and raced my bike). Despite being a small case because of the only approach being through the Motor Insurance Bureau independent panel (untraced driver), that didn’t matter to Jodi and CLS. They wanted what was right for me and wouldn’t be fazed by MIB loopholes. Quick, determined, professional and empathetic, exactly what you want in this situation. This experience has turned a standard paperwork case into a positive experience that I will tell any cyclist I meet should they need support in the future. My thanks doesn’t go far enough.